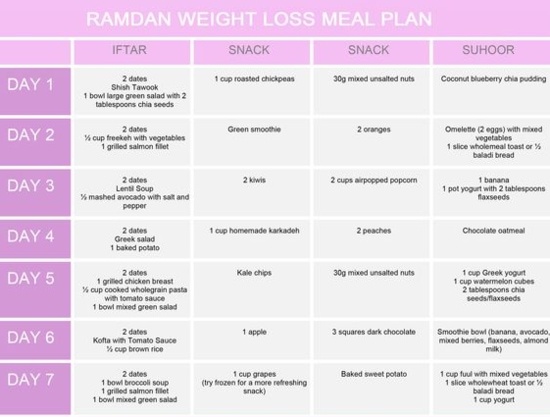 Want to lose weight in Ramadan? 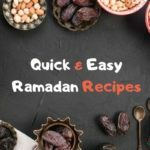 We are here with some incredible tips which will guide you How to lose weight in Ramadan. Ramadan is just around the corner. The sacred buzzes of Ramadan arrival are everywhere around us. Ramadan is the month which teaches self-restraint. So, let’s use this month to restrain our bad eating habits and to adopt a healthy eating routine. Ramadan iftar feasts are the biggest chance of overeating and consumption of unhygienic diet. 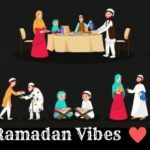 However, it depends upon us how we use this holy month to attain great benefits of fasting by making good decisions about food while focusing our mind on the spiritual purification. In many countries, its trend to fill the tables up with lots of delicious food including deep-fried snacks, backed food items, grilled and greasy dishes. It would be good to avoid such food items with some healthy diet. Such as the deep fried snacks like samosa, pakora, and fried chicken can be replaced with fruits. And the best way for the purpose of to refresh the stomach is the usage of fruits. Fruits provide the energy required for the human body to work properly and help in weight loss. Avoid the use of starches by skipping the use of bread, pasta, high sugar foods, and fruits. Replace processed foods like soda and deserts with alternative sweets that contain fewer calories. In Ramadan, the iftar meal is the major cause of unbalanced diet and overeating. It’s the common thinking that you have to eat enough food which should make up for the fasting hours that you have spent without food. But that’s not the case. During fasting, the human metabolism slows down and the energy needs of the body decrease as well. Don’t think that you have eaten nothing for all day, and eat just according to your regular diet plan. 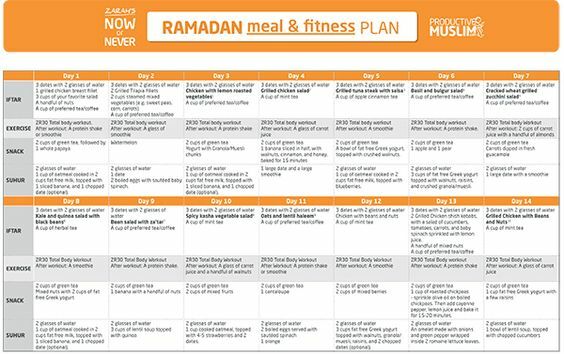 Use dates to break the fast as it provides enough energy and sugar which the body requires after a fast. One date is enough for this purpose because dates contain a high amount of sugar. Avoid the creamy dishes and appetizers that are nothing but carbohydrate packs. Due to long fasting hours, the eating hours are quite short in the upcoming Ramadan. But this not a reason to skip the suhur meal. Skipping the suhur meal will compel you to overeat in the following iftar meal. In Suhur, limit the usage of salt in food to avoid the thirst in the fasting hours. Eat whole grain bread, eggs or cheese which are a source of protein, and yogurt. This food combination ensures the existence of a stable amount of glucose in blood and you don’t get hungry during fast. Don’t lay down after eating suhur and iftar. We know that it’s a tough job to walk after iftar but it will help you to burn some calories and keep you active. If we talk about suhur, it’s a common habit to sleep after Namaz-e-Fajar. 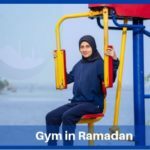 By doing this we waste the golden chance to do some exercise which could help us to lose weight in Ramadan. Sleeping after suhur meal is common in Pakistan which makes people lazy throughout the day and increases the chances of obesity. Don’t spend your whole day in sleep as an excuse for fasting. Try to maintain your regular activities but don’t go in front of sunlight. Spend your time in offering regular prayers and reciting the Quran as it will also help you to stay active. After a daylong fast, drinking water becomes the first priority. Overdrinking of water in iftar can disturb your stomach. So, first, break your fast with something else and then drink a single glass of water or juice. Two glass of water during Suhur meal. This proper use of water will help you to burn fats, clear the waste items out from kidneys, and clean the stomach. Avoid the usage of caffeine such as coffee, black tea, and soda drinks. However, it would be good to use green tea or herbal tea as an alternative to water as it makes the digestion better. 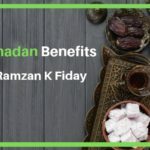 The iftar meals are not a single cause of weight gain problem in Ramadan but the excessive use of processed sugar in sweets and drinks is also a major one. 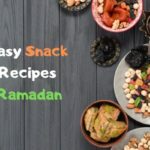 It would have amazing results in your Ramadan weight loss program if you avoid the use of processed sugar and replace it with the use of fresh fruits, honey, dried fruits, and molasses. If you are going to eat ice cream then replace it with natural yogurt, mix it some healthy fruits and freeze for 15 minutes. If you are a chocolate lover, then go for low carb chocolate snack bars. So, this Ramadan aims to break your sugar habits. You can use fruits which is a healthy option but don’t use sugar in the juices which can destroy your all hard work. So, Friends! If you follow these five guidelines in the upcoming Ramadan then it is assured that your weight will reach a suitable point. Hope you would follow these tips properly to enjoy the amazing results. Kindly give us your precious response on our tips on How to lose weight in Ramadan! 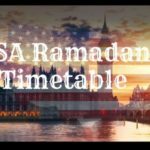 Ramadan Mubarak to everyone!